Congressman Meeks: Why I Boycotted the State of the Union! “We cannot stop the emigration of peoples of color into the United States of America,” said Congressman Gregory Meeks at a Town Hall meeting in Queens. The notice may have been short but the lines were long to listen to the Congressman. Congressman Meeks: We Will Defend DACA! 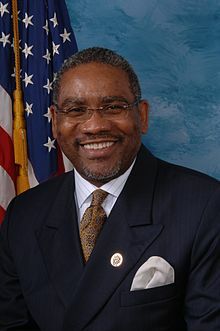 Congressman Meeks met with his constituency a fortnight ago at a Town Hall in Queens, New York. He touched on a number of issues that included the shutdown in Washington, DACA, and President Trump’s State of the Union address. Mr. Meeks boycotted the address citing disrespect on the part of the president as the reason. This article looks mainly at the question and answer session at the Town Hall meeting.